Mill Creek Entertainment, the recognized leader in the independent home entertainment industry will release the groundbreaking, multi-award-winning series The Shield on Blu-ray, 10 years after the unforgettable finale aired on TV. This comprehensive Complete Series collection will include all 88 fully restored episodes in high-definition from the series’ seven season run and will also include a host of bonus features including an all-new cast reunion, writers panel featurette, and retrospective on the landmark series. Packaged in a premium, collectible Digi-book housing 18 Blu-ray discs – this Special Collector’s Edition of The Shield will be available for $229.98 SRP on November 6, 2018. Controversial, compelling and critically acclaimed, The Shield takes place in a tough, morally ambiguous world in which the line between right and wrong is crossed every day and the road to justice is twisted. 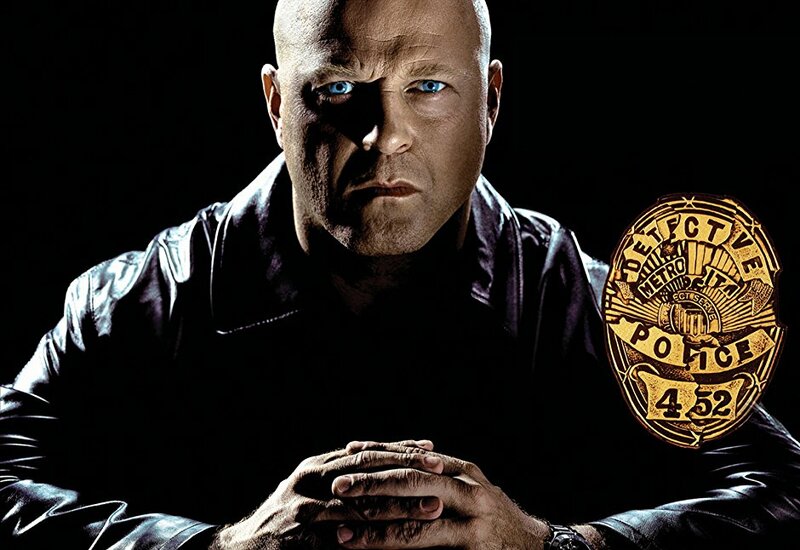 Emmy® and Golden Globe®-winner Michael Chiklis portrays one of television’s greatest antiheros, Detective Vic Mackey, who runs his elite Strike Team under his own set of rules as he tries to maintain balance in the criminal ecosystem on the streets of Los Angeles. Creator Shawn Ryan hails this Collector’s Edition Blu-ray set “as the exclamation point to the legacy of The Shield.” Ryan recalls, “A high-definition restoration was not possible until now.” Thanks to a new patented process, the entire series has undergone a 4k transfer and restoration from the 16mm film elements preserving the intentional grit and raw texture that’s unique to this series. In celebration of this release, Mill Creek Entertainment is orchestrating a reunion with the principal cast and crew including Shawn Ryan, Michael Chiklis, Catherine Dent, Walton Goggins, Jay Karnes, Benito Martinez, CCH Pounder, Cathy Cahlin Ryan, Kenny Johnson, David Rees Snell, Paula Garcés, and David Marciano. Also included on this special Blu-ray release will be a writers panel from the ATX Festival featuring Ryan, Kurt Sutter, and Glen Mazzara plus interviews with the executives and critics who framed and followed the show as it changed the television landscape. “The Shield redefined cable television and paved the way for a new level of hard-hitting shows that followed,” says J.W. Starrett, Director of Product Development for Mill Creek Entertainment. “Getting the cast and crew back together 10 years after the final episode aired gives some really interesting insight and fascinating stories about their experience working on the show.” Additional special features will be included from previous DVD releases as well as new features currently in development. A complete listing will be announced in the coming weeks.